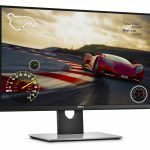 Home » Reviews » Dell S2716DG Review: Best Gaming Monitor for the Money? Dell is quite an old player when it comes to manufacturing computer products. The company is in the computer manufacturing industry for years and has a quite large number of customers on their list. However, if we talk about their monitor which is the Dell S2716DG. We have to say that the monitor has something in it and just in case if you are thinking what is so special about the monitor. Then read on and we will be sharing our Dell S2716DG Review and walk you through from its different sections. As you know the refresh rate matters for a lot for gamers and hence more & more manufacturers are giving a close look at the monitor refresh rate. Also when it comes to the refresh rate the Dell S2716DG gaming monitor is definitely giving a tough competition to its competitors. Dell S2716DG Review – Is this the best gaming monitor you can get for your money? The Dell S2716DG undoubtedly an amazing gaming monitor one can have. As the monitor comes with a quite amazing image quality and 1ms response time. This is what makes the dell gaming monitor an ideal option for the gamers. The gaming monitor was designed to satisfy all type of gamers as it comes with the 144hz refresh rate and Nvidia G-Sync adapter. However, there are still quite a lot of things that we have to mention in this Dell S2716DG review so read on. Starting with the specifications at first, the Dell S2716DG is LED-backlit LCD monitor that comes with a resolution of 2560 x 1440 pixels. The panel of the monitor is TN and comes with an aspect ratio of 16:9. The monitor also has basic ports like HDMI and Display port. There are also a few USB 3.0 ports, audio output ports and so on. The size of the display is 27 inch. However, to make you understand in a better way list of all the specifications is given above. Talking about the design, the Dell S2716DG sports its traditional design. However, there are quite a lot of things where we have found a few changes. On the front panel, the bezel is so thin that it does not look like it has frames at all. The monitor has a warm dark color that offers a unique design. The buttons of the monitor are placed nicely at the right corner of the monitor. Also, there is the same monitor stand that we get to see with most of the dell monitors. There is a hole in the middle of the stand and the bottom base is completely flat with an NVIDIA G-Sync sticker in it. The stand allows you to tilt, rotate and lift the monitor. Also, you can place the monitor in a horizontal way. Talking about the rear panel, you are getting all the connection ports and a wall mount option. Overall the design of the monitor looks good but there is no new design. The design is old but has some new changes in it, which makes us feel that the company has redesigned the monitor. Coming to the features, the Dell S2716DG comes with 4 USB 3.0 ports, which is quite impressive. As most of the other gaming monitors do not even offer USB ports, even if they do they offer USB 2.0 ports. There is also a headphone output port. Two of the USB 3.0 ports and headphone out port is placed on the left side of the screen. This makes connecting the USB devices and headphone jack. You do not have to look at the back panel of the monitor to connect a headphone or USB device. You can simply do so by looking at the left side. However, there are two USB ports embedded in the back panel. You can use both of ports to connect USB devices like mouse and keyboard. As you will not be removing them time to time. The only thing that Dell did not add in the monitor is the external speakers and that can be a negative point for most of the gamers out there. But there is also a thing that most of the gamers do not like the sound of inbuilt speakers hence they purchase some speakers additionally. The monitor also sports edge to edge glass and also an audio line out port. The monitor also sports NVIDIA G-SYNC which is designed to give life to the picture. The picture quality is so good that you would be amazed. The G-SYNC feature synchronizes the frame rate between your GPU and the monitor and decreases the amount of blurriness. 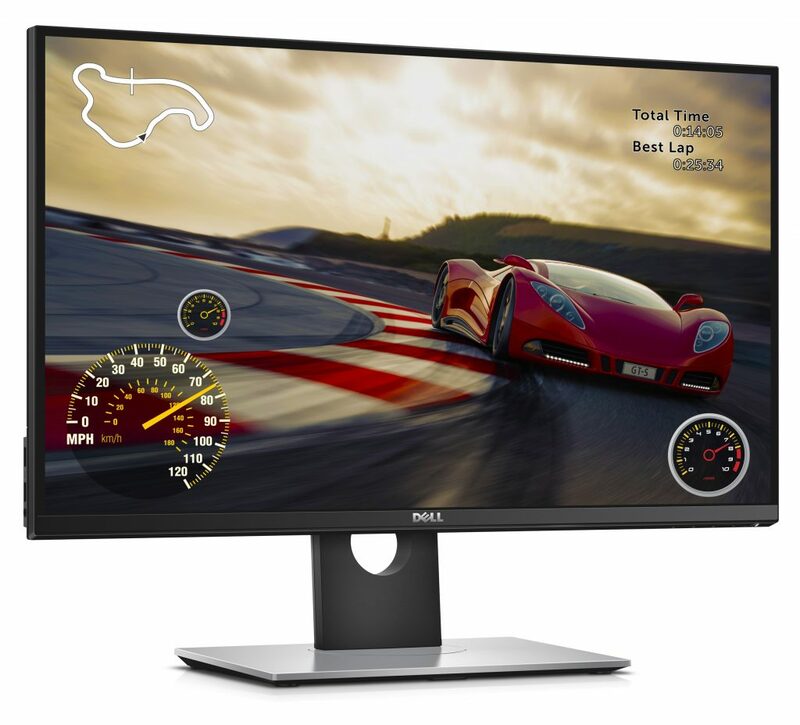 Talking about the performance of Dell S2716DG gaming monitor we have to say that the monitor offers excellent picture quality and response time. The monitor offers a sharp picture quality for fast-moving gaming objects. However you have to master at the monitor settings, the monitor also offers a 1ms response time. So it is advisable to put the monitor into action does check out all the settings and master it. Although the monitor lacks an IPS panel hence the professional photographers and graphics designers will face difficulties while adding accurate colors. So if you are a photographer or designer it wouldn’t be a really great idea to go with the monitor. However, for new photographers who have recently started learning can go with the monitor. The image quality is enough good to satisfy your needs. But accuracy in colors, well we do not think the Dell S2716DG would be able to offer so. Also, there is no special mode of gaming and movies. You have to look at the settings every time you play a game. You have to manually increase or reduce the brightness of the monitor to get a comfortable view. The resolution of the monitor is 2560 x 1440 pixels with the refresh rate of 144hz and 1ms response time. This is needed for professional gaming. The monitor offers consistently sold image quality. You will not find lag or the issue of unresponsiveness. The dell monitor definitely will provide you with a smooth gaming experience. The monitor supports NVIDIA G-Sync technology which offers great picture quality and a great viewing experience. The competitors have greater picture quality than the DELL S2716DG, however, they lack in other specifications. If you look at the monitor in a vertical way, you will not be amazed by the picture quality. There are no inbuilt speakers hence you have to buy speakers additionally. The monitor offers quite a poor black and contrasts option, also there is no special mode of gaming or movie. Although, coming back to our question that we have asked at the top of this DELL S2716DG review. Is this the best gaming monitor you can get? Well, we do think so you can get this monitor. However, it all depends on your needs. There are quite a lot of gaming monitors that sports in this budget segment that offers great picture quality. Some of the monitors do have inbuilt speakers and some of them do not have USB Ports. So it is advisable to figure out your requirements. If you are planning to use this monitor for console gaming then it might be a great idea. However, for desktop gaming, the monitor offers a decent experience. But for a really better gaming experience, it would be better if you look at other options available in the market. Although if you think that the DELL S2716DG meets your requirements then you should go for it.